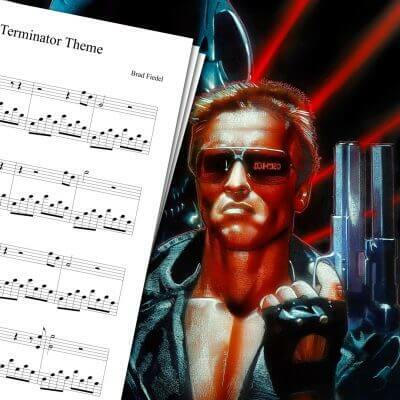 Piano sheet music for the Terminator theme song. Everyone knows Terminator, and everyone knows its theme. 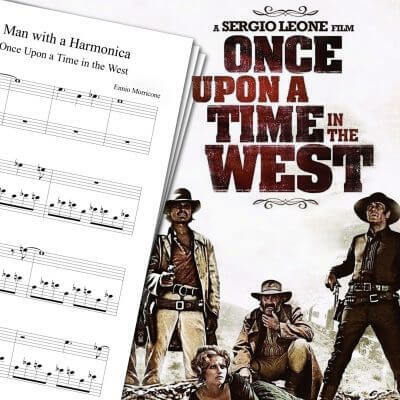 I just had to play it! 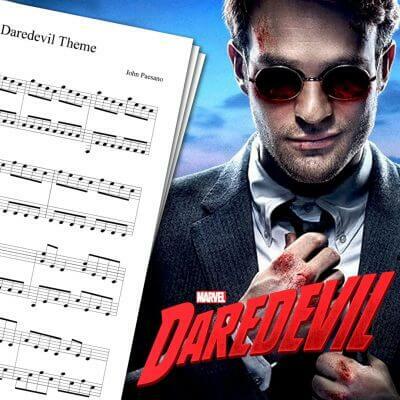 You can check this Terminator Theme Sheet Music played live on my cover above! This Terminator sheet music is pretty easy to play. 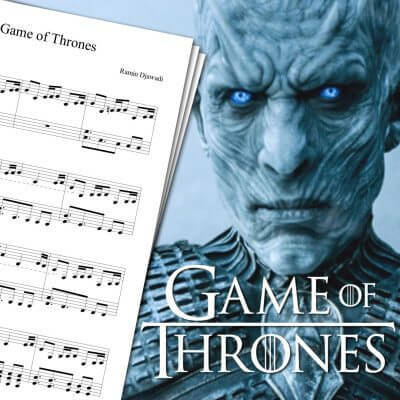 Therefore, if you’re a beginner at playing piano, you shouldn’t have too much trouble learning this song. Terminator is a movie franchise, first directed by James Cameron in 1984 and famously starring Arnold Schwarzenegger. The movies’ story focus on the fight between humanity and Skynet, a self-aware A.I. that decided to wipe out the human race. To definitely get rid of the human resistance, Skynet develops a new time traveling technology. As a result, Skynet sends humanoid machines called Terminator to the past to try to kill John Connor before he can form the resistance. The Terminator theme song was composed by Brad Fiedel.